There are many products to mount your boat seat into your boat bench. First of all you will have to choose ‘do I want to remove the boat seat or do I want to make a permanent sitting place’. 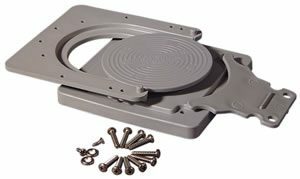 If you own or about to buy a Tempress All Weather boat seat you definitely must buy the Tempress Quick disconnect mounting kit. This item are developed for each other is are so easy to install on you boat and you even can buy a Quick disconnect mount for a second position. Available is colour White, Gray and Black. If you have a other brand boat seat, you can use a Wise disconnect seat bracket with the Wise Swivel, make sure that swivel size 6 inch or 7 inch is compatible. Also with this system you can make a second or third position in the boat, just purchase a second or third bracket. 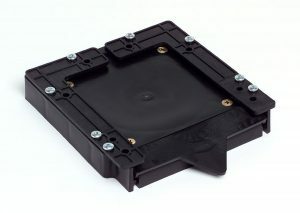 Also a nice product is the Wise Quick Disconnect Boat Seat Bracket with similar function. Just another simple way to remove the seat from the boat. To be continued about permanent mounts. We ship to European Countries, is your country not listed, just send us an email or use the contact form on the website.